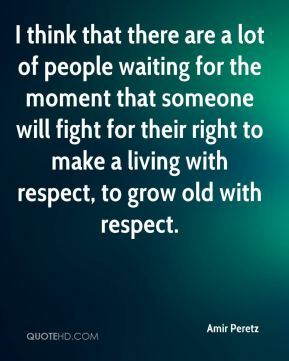 I think that there are a lot of people waiting for the moment that someone will fight for their right to make a living with respect, to grow old with respect. 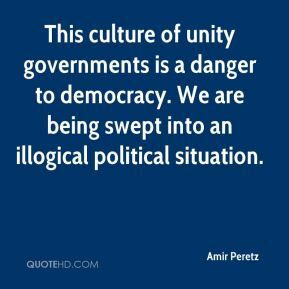 This culture of unity governments is a danger to democracy. 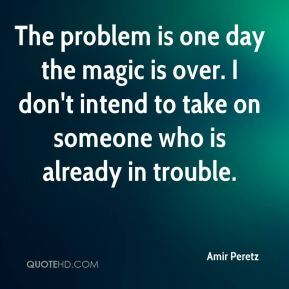 We are being swept into an illogical political situation. 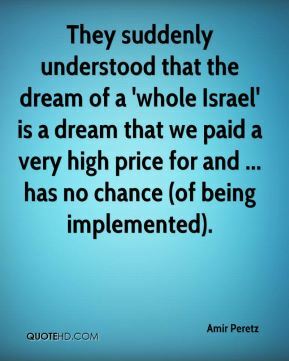 They suddenly understood that the dream of a 'whole Israel' is a dream that we paid a very high price for and ... has no chance (of being implemented). 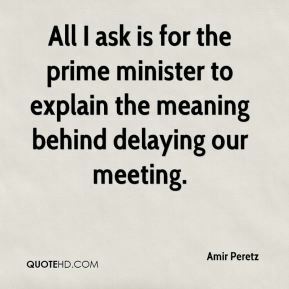 All I ask is for the prime minister to explain the meaning behind delaying our meeting. 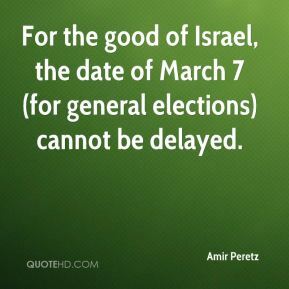 For the good of Israel, the date of March 7 (for general elections) cannot be delayed. 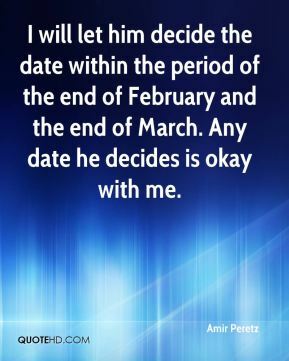 I will let him decide the date within the period of the end of February and the end of March. Any date he decides is okay with me. The issue of public concern is not Sharon's health but the health of Israeli society. We need a moral road map toward the end of the occupation and the signing of a permanent agreement. 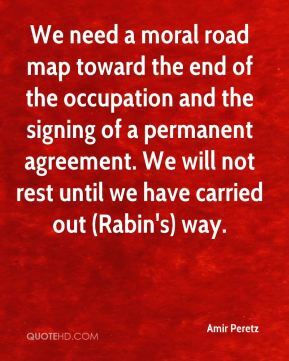 We will not rest until we have carried out (Rabin's) way. 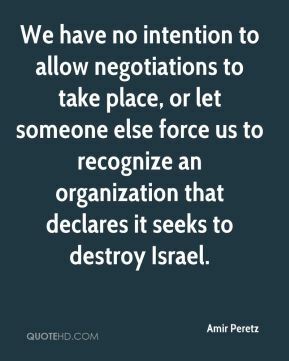 We have no intention to allow negotiations to take place, or let someone else force us to recognize an organization that declares it seeks to destroy Israel. My revolution shows that the pyramid has overturned. 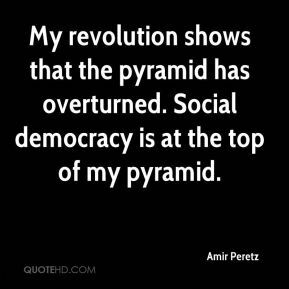 Social democracy is at the top of my pyramid. We need better services, to do more for the people. 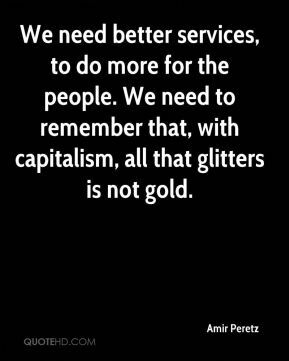 We need to remember that, with capitalism, all that glitters is not gold. The law is the law, and we need to implement it. 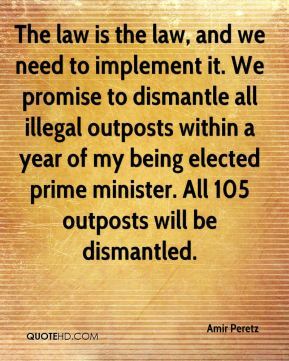 We promise to dismantle all illegal outposts within a year of my being elected prime minister. All 105 outposts will be dismantled. 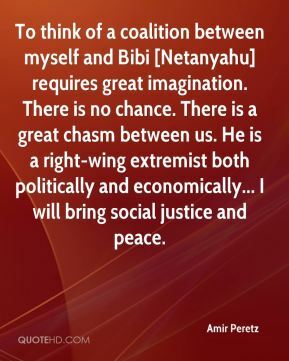 To think of a coalition between myself and Bibi [Netanyahu] requires great imagination. There is no chance. There is a great chasm between us. He is a right-wing extremist both politically and economically... I will bring social justice and peace. 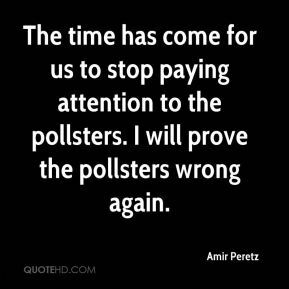 The time has come for us to stop paying attention to the pollsters. I will prove the pollsters wrong again. 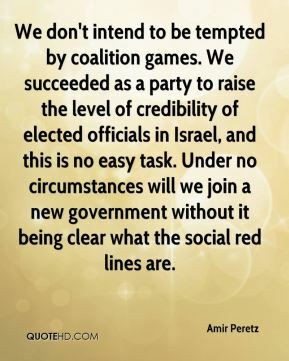 We don't intend to be tempted by coalition games. We succeeded as a party to raise the level of credibility of elected officials in Israel, and this is no easy task. Under no circumstances will we join a new government without it being clear what the social red lines are. 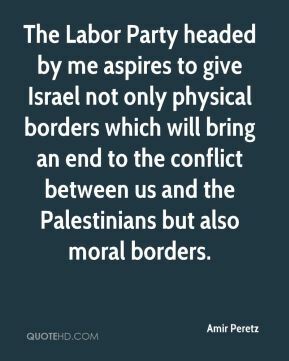 The Labor Party headed by me aspires to give Israel not only physical borders which will bring an end to the conflict between us and the Palestinians but also moral borders.